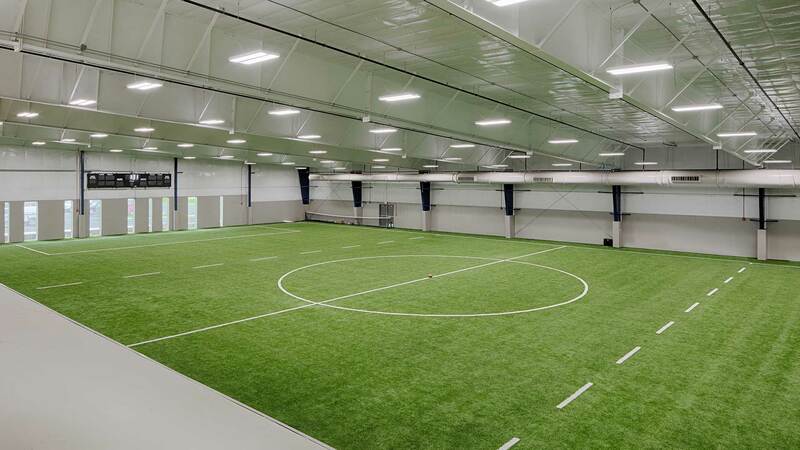 Designed to be the new headquarters for the national Fellowship of Christian Athletes (FCA) ice hockey program, the new Northstar Christian Academy Sports Complex includes one ice sheet and open fieldhouse space complete with synthetic turf flooring. 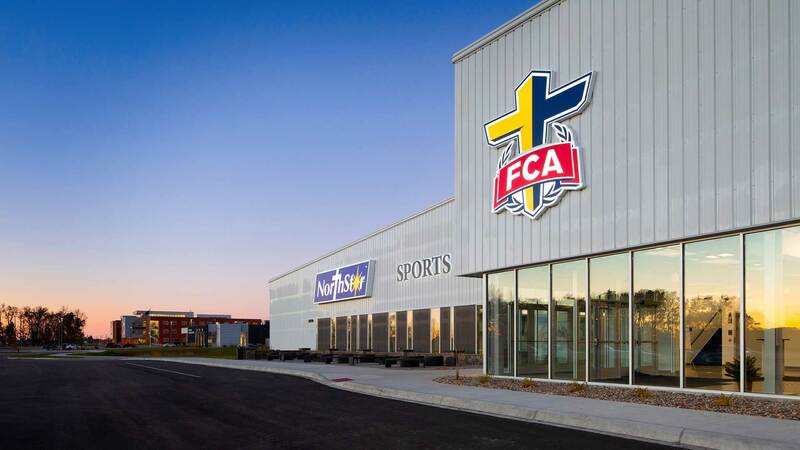 The facility was designed to be fit-out with a second ice sheet and additional ice support space in a future phase to serve a growing FCA hockey program. 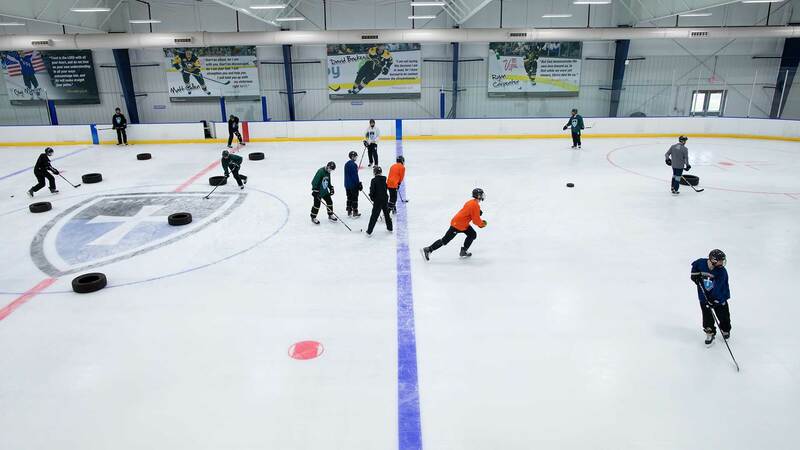 Located within the facility and situated off the spacious lobby is the FCA Ice Hockey office suite with six offices, an open work space and a conference room. The arena also includes a viewing mezzanine for spectators overlooking the ice and fieldhouse space. The mezzanine provides access to the elevated chapel space which overlooks the arena lobby and is highlighted by abundant daylighting. 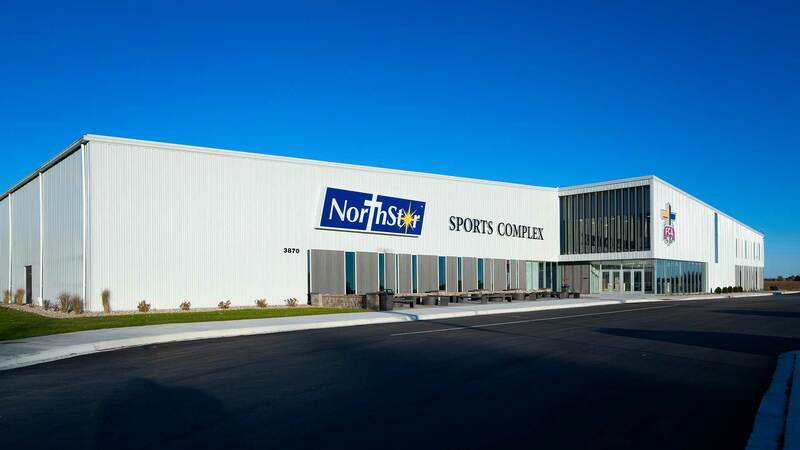 The NCA Sports Complex arena was completed in the fall of 2018 and was the second building constructed as part of the Northstar Christian Academy educational campus. 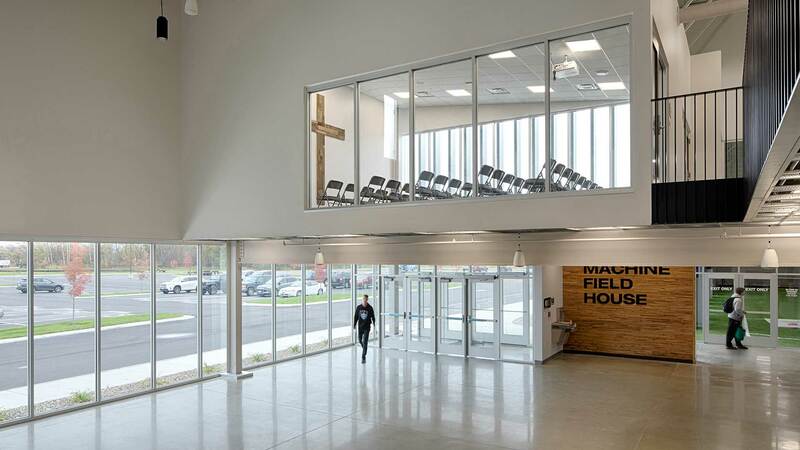 "This rink is totally unique in the whole country, it has a chapel as its focus. This is an investment that will last an eternity."